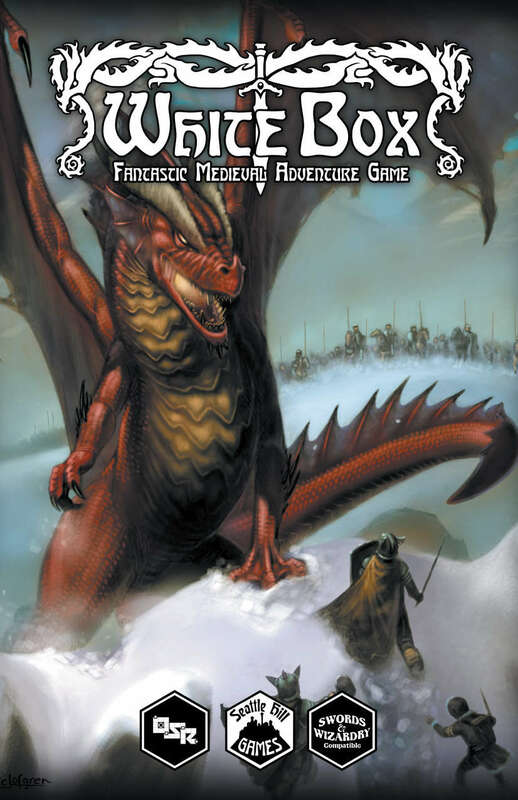 Note: Some of my Essential Adventuring Rules for Swords & Wizardry White Box (WB) made it into White Box Fantastic Medieval Adventure Game (WB:FMAG). In the summer of 2016, Charlie Mason decided to give WB a fresh coat of paint. To those of us who played WB from its inception, it was much-needed after the game had been left “to the fans” by Matt Finch, the creator of Swords & Wizardry. What were the issues that led Charlie to create a new version? Basically, the 3rd and final official printing had layout issues, uncorrected errata and gaps in the rules. Charlie took the text of that edition, added new art, new layout, a few new rules sections, and corrected the errors. For example, the turn undead table was fixed so that the hit dice match the monster descriptions. A few new monsters were added. He also added my aforementioned adventuring rules, new jousting rules, overland travel rates, wandering monster tables, and a simplified thief class. You can see some of the history and motivations in a forum thread from August of 2016, and also at Charlie’s blog. Since then a second edition has come out with an even nicer layout, and there are a few choices of cover art. The cover art is amazing, with pieces by Eric Lofgren, Stefan Poag, and Michael Clarke. The interior art is stock art from William McAusland, which as much as it might be overused in the small publisher OSR market, it seems to fit WB:FMAG perfectly. The character sheet is by James V. West. All this is free in PDF and POD copies are sold at cost on Lulu or Amazon, making it one of the more affordable OSR games to play. To me, the original WB was a game suitable for experienced referees or lapsed old-school gamers who wanted something simple and fun to play. It fit this mold nicely. WB:FMAG continues this tradition, but with the added bits and fixes, it is now much more suitable for those with minimal experience. It is more of a complete game. So what is missing? 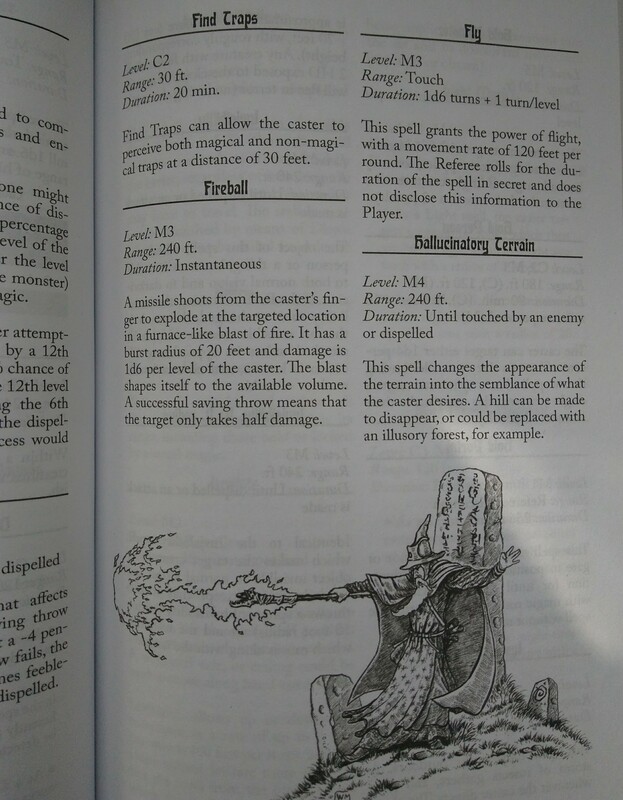 Not much, but I’d love to see the adventure design and campaign sections expanded by a few pages, with a short introductory dungeon akin to the Tower of Zenopus in Holmes basic – not overly detailed, but with a few tips given as sidebars. This would be a great way for inexperienced game masters to get started, and would serve as a primer for the imagination. I’d also include Matt Finch’s ‘A Quick Primer for Old School Gaming’ as an appendix, the French version of WB does this and I think it’s a great idea. I would also bring back the sample play session that is in the original rules, augmented a bit to show some more examples of referee rulings during play. In total this might add another 10 pages, and would really make the game usable as an “OSR starter set”. If you take a look at Seattle Hill Games’ RPGNow page, you’ll see some other goodies available for download at no cost, including several character sheets and a referee screen. I love the Red Dragon cover. When I buy copies for people it’s always that version.